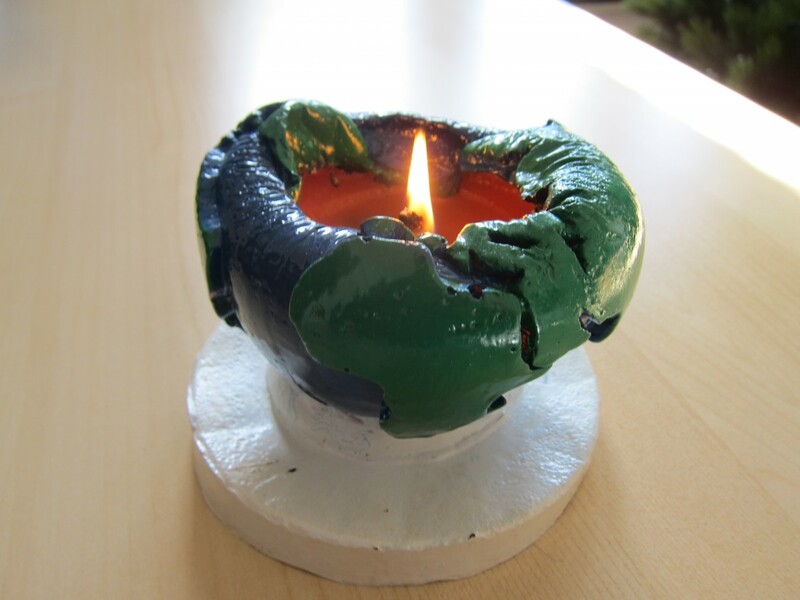 This is a therapy candle for anyone who’s idea of therapy is watching he world burn. 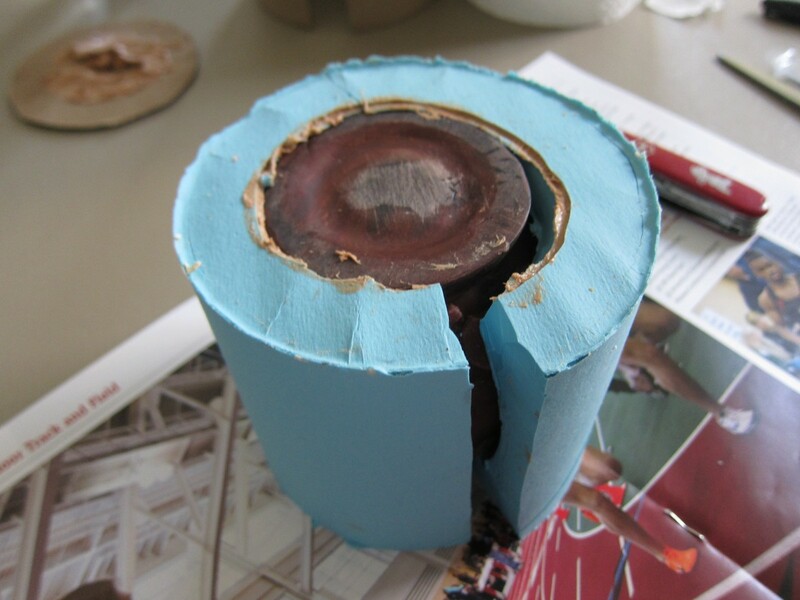 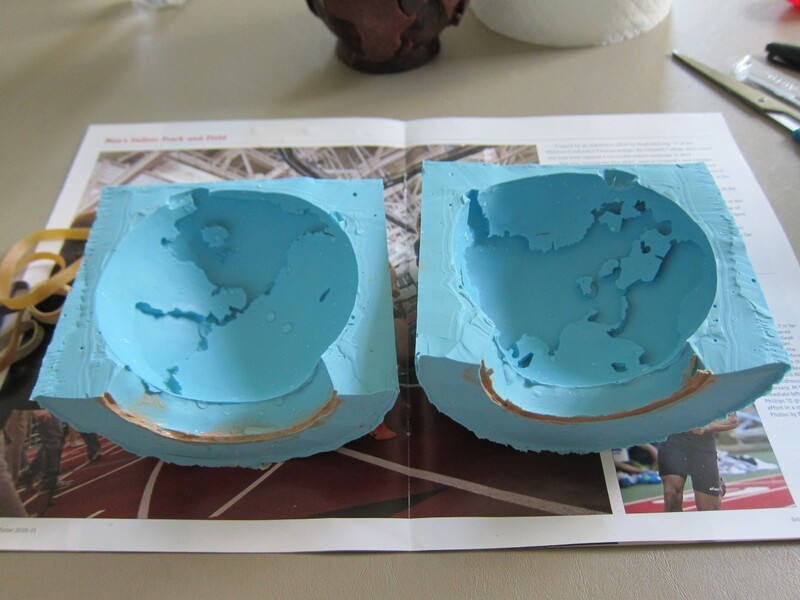 The positive side of the mold was created from a huge ball of aluminum foil wrapped in a coating of super sculpey. 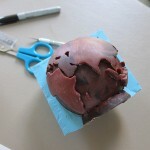 Super sculpey is great stuff – it feels like modelling clay, but when you are done creating your object, you bake it in the oven for a few minutes and it will harden. 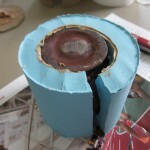 Like firing clay, except you use a toaster oven instead of a 1000+ degree kiln. 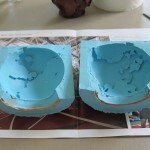 The blue mold was made from silicone rubber, purchased here: smooth-on.com/Silicone-Rubber-an/c2_1113_1136/index.html. 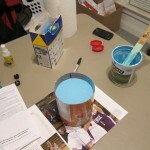 It comes in two bottles of liquid. 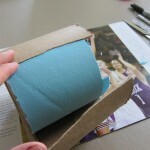 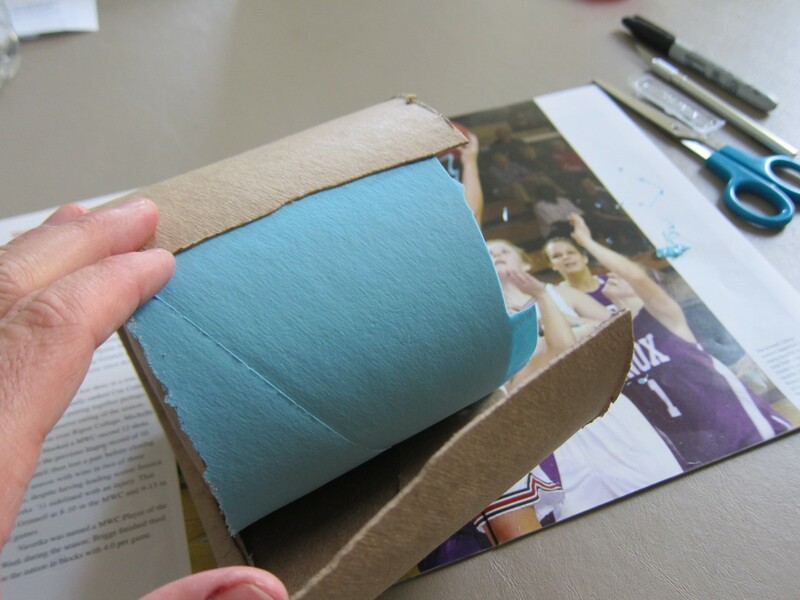 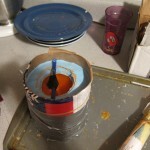 You pour them together over your positive, wait a while, and it turns to solid rubber. 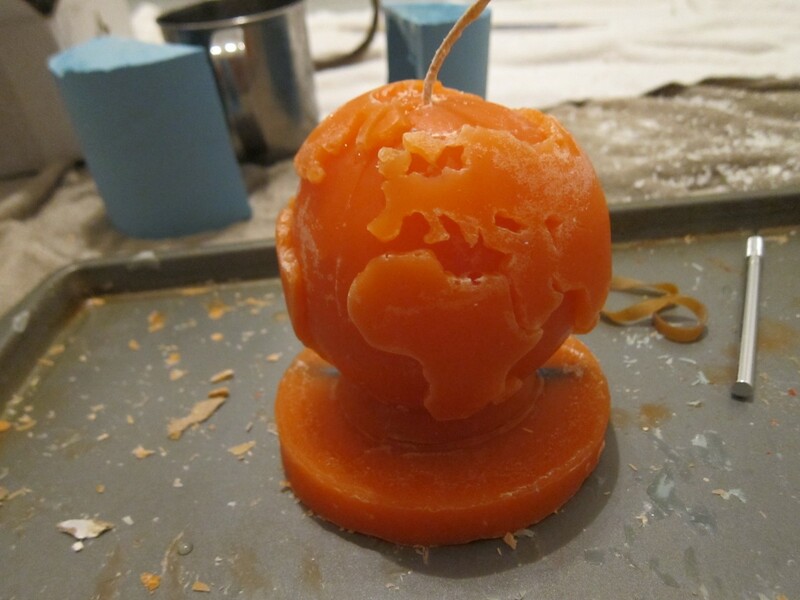 Then the positive is cut out, the mold is resealed, and filled with melted wax. 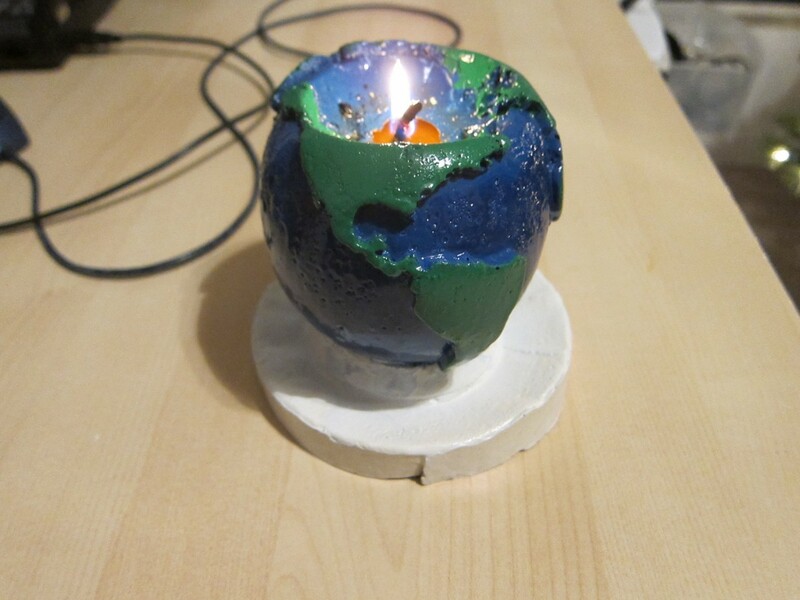 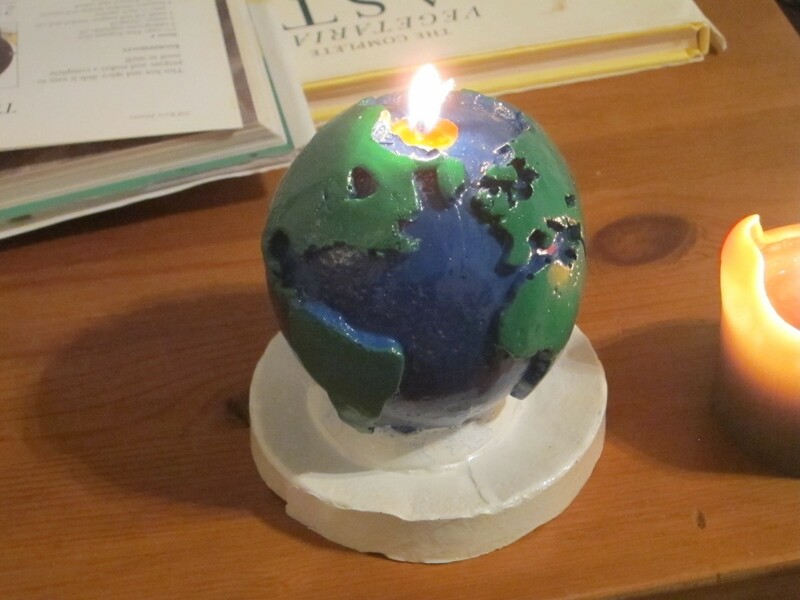 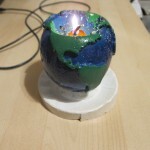 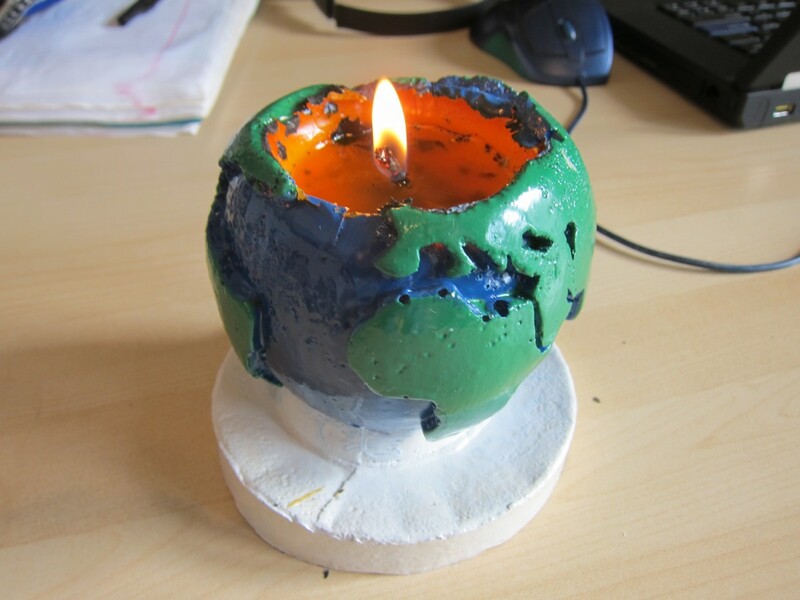 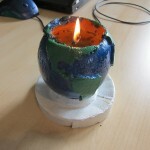 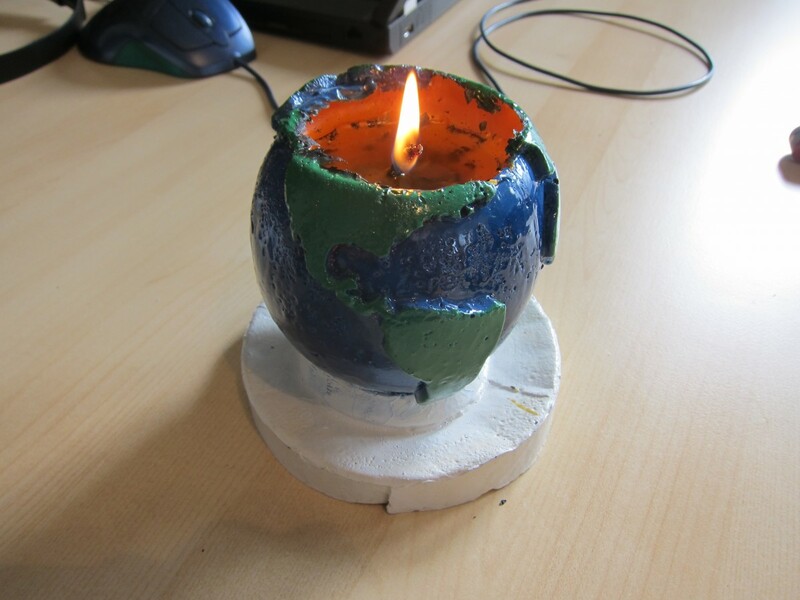 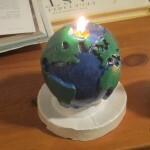 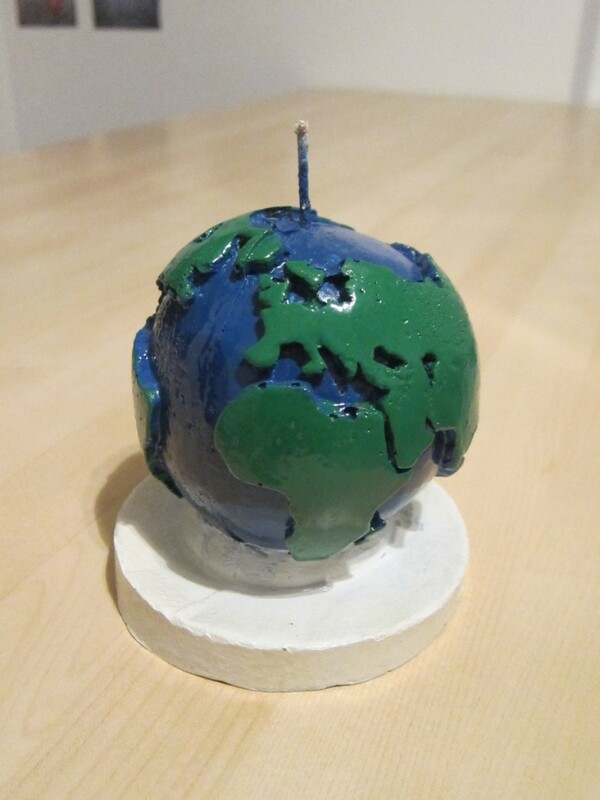 Once we lit the candle, the flame hollowed out and destroyed the earth just as we had hoped. 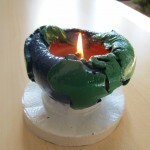 And we added some cucumber-melon scent to the wax, so as the earth melted it gave off a relaxing scent. 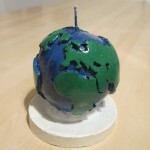 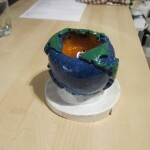 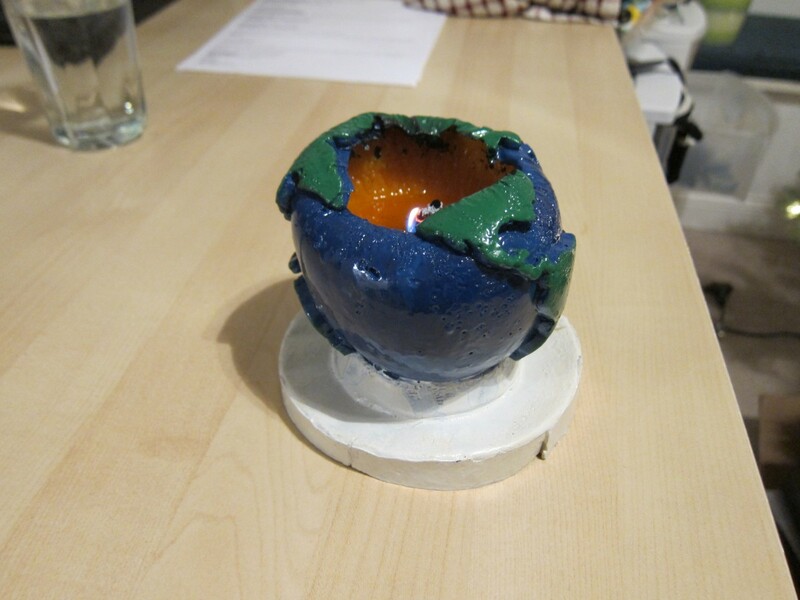 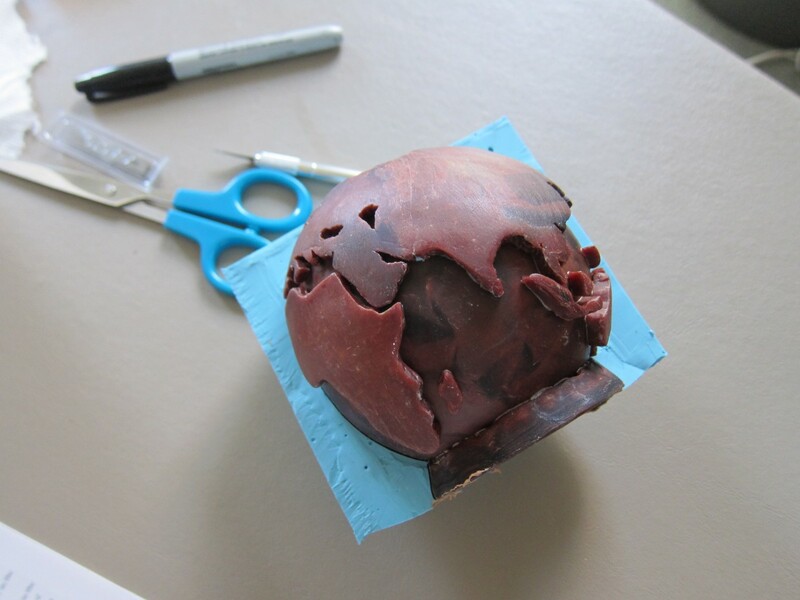 Creating the earth model from super sculpey. 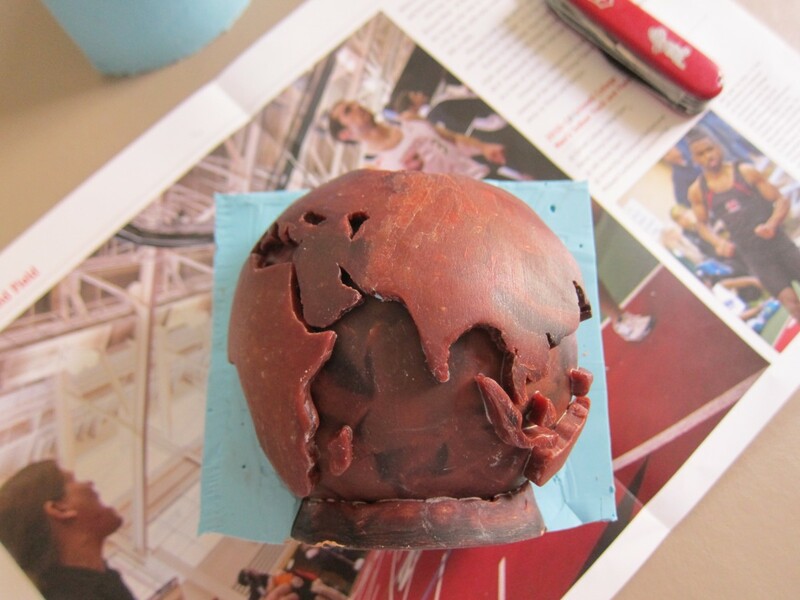 The mold was made from latex rubber. 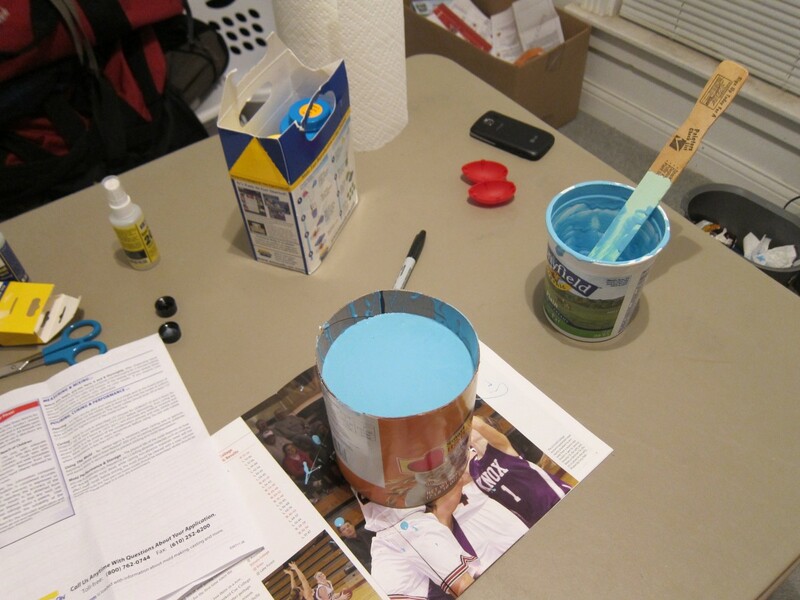 It comes in two bottles. 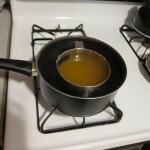 After you mix them together, they turn from liquid to rubber in about 20 minutes. 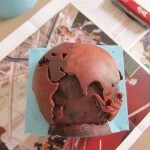 Our positive inside the mold. 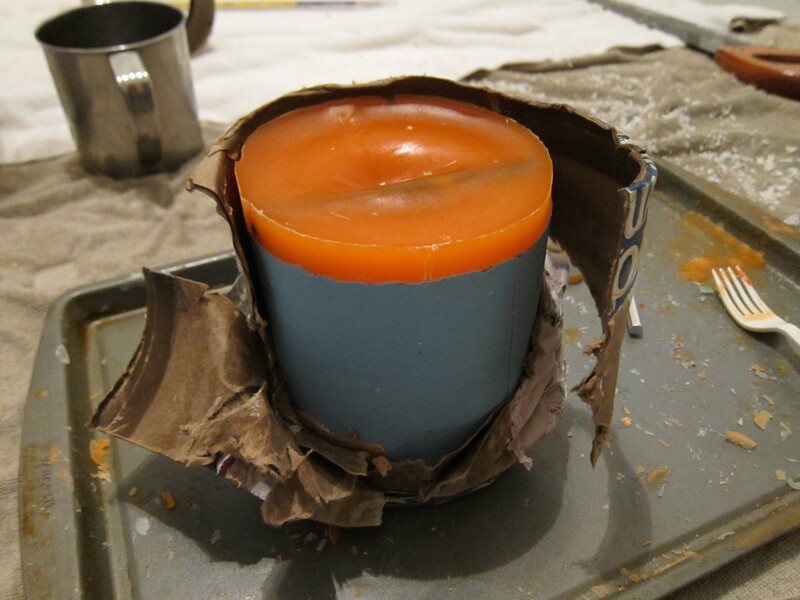 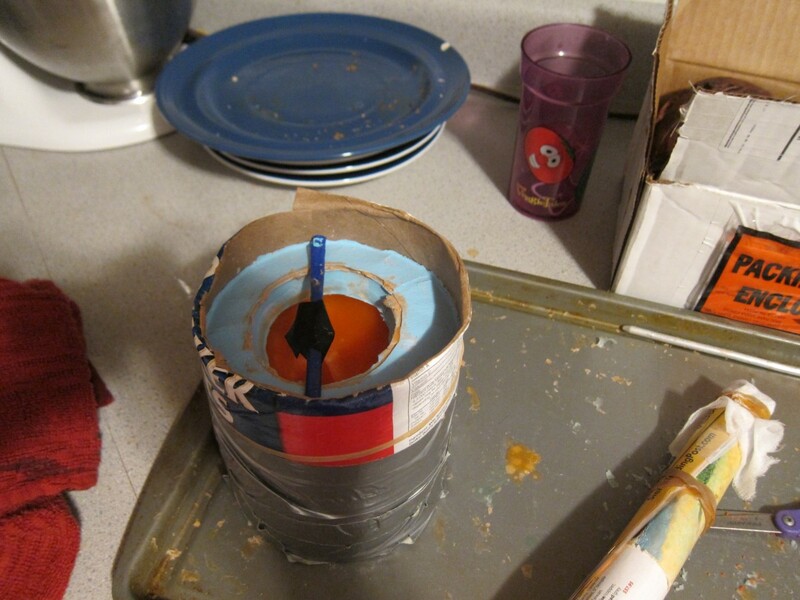 Heating up the wax to make the candle. 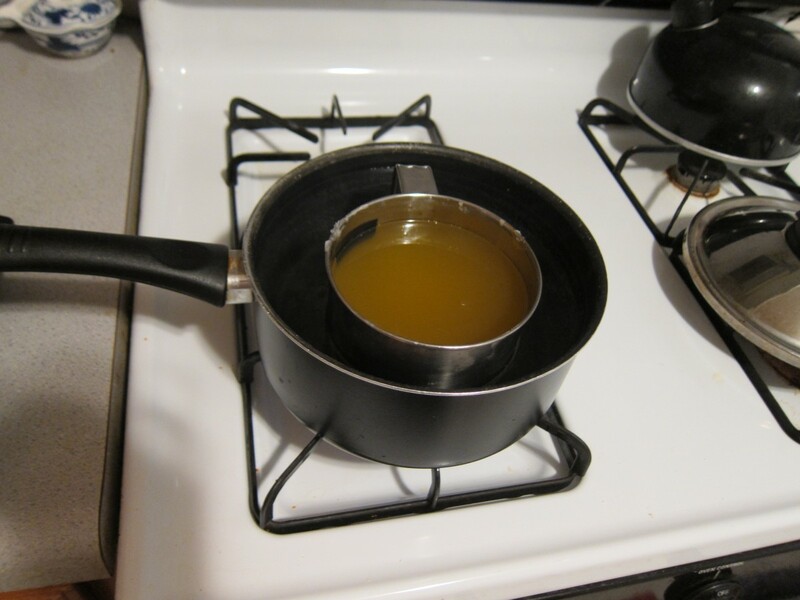 You have to heat wax inside a pot of boiling water. 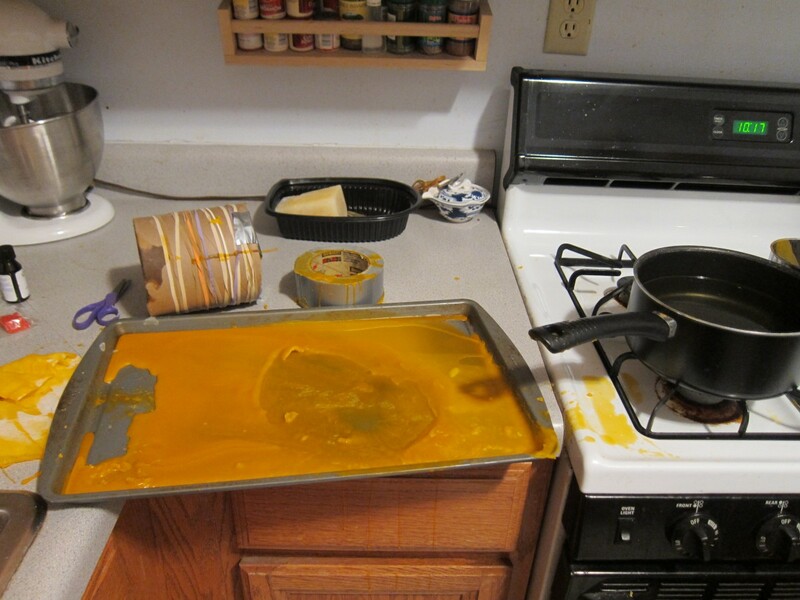 Never inside your oven. 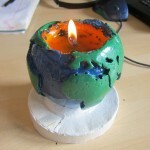 The ignition point of candle wax is only about 400 degrees, so an oven can easily turn a pot of wax into a fireball. 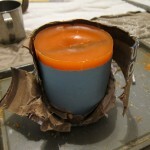 Our mold spilled and the hot wax went everywhere and then solidified. 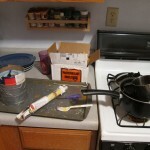 Hardest spill to clean up ever. 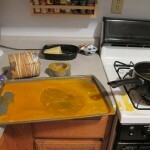 Letting the wax cool. 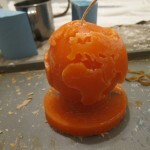 The wax shrinks some as it cools. 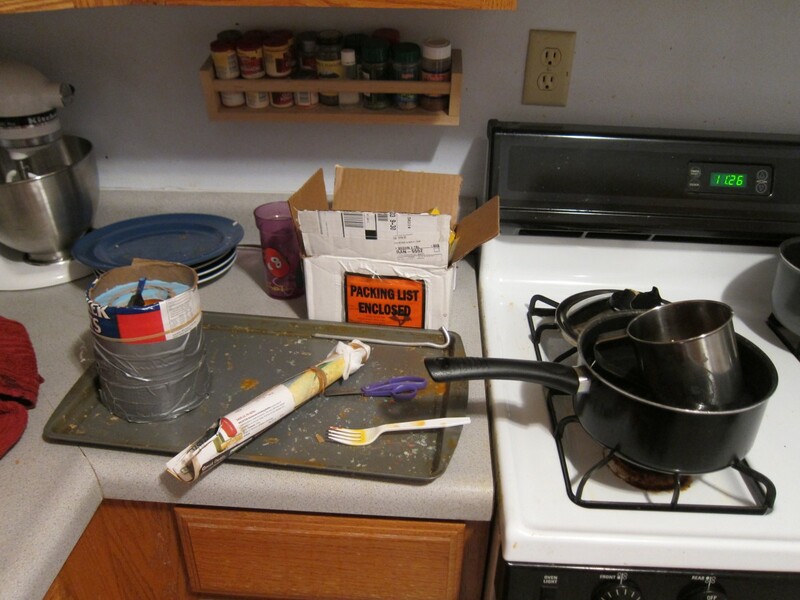 So we added some more.